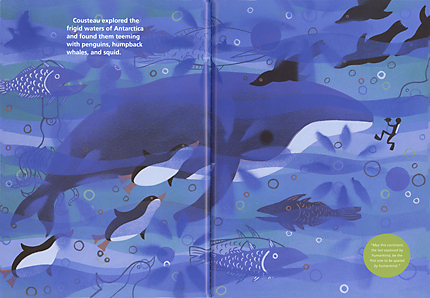 To coincide with my post about our trip to Monterey Bay Aquarium I thought I'd share a book that I recently found at our local library. 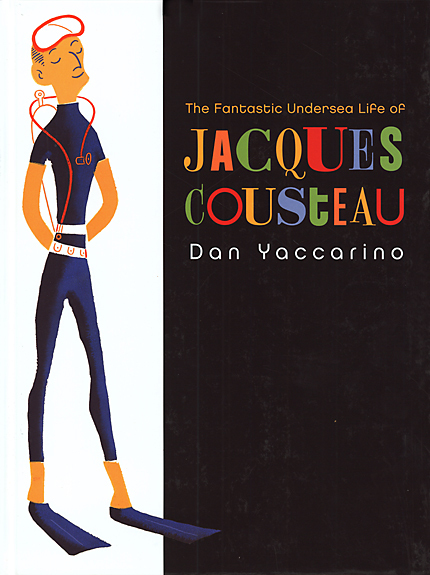 I was drawn to The Fantastic Undersea Life of Jacques Cousteau by Dan Yaccarino by the simple, retro inspired style of the cover illustration. Knowing that Ava loves everything undersea I figured that she'd be interested in learning about one of the oceans' most important ambassadors. This book did not disappoint. Both Ava and Lola were captivated by the beautiful illustrations and Ava was intrigued by the story of this "real life Octonaut"! The cartoon adventures of Captain Barnacles, Kwazii and Peso have nothing on what Monsieur Cousteau achieved in his lifetime. 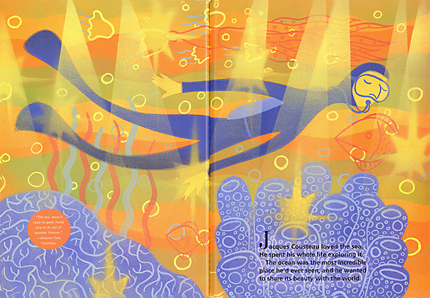 As well as telling the story of Jacques Cousteau's life and achievements each page features a quote from the man himself. A timeline of events through Jacques Cousteau's life is featured in the back and I was pleased to find when reading the book to Ava for the first time that this was the only place that mentioned his death. 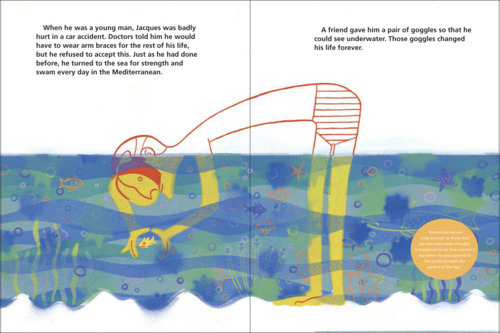 Ava was so excited hearing about the adventures of Jacques Cousteau that I would have hated to end the story with "and then he died...". 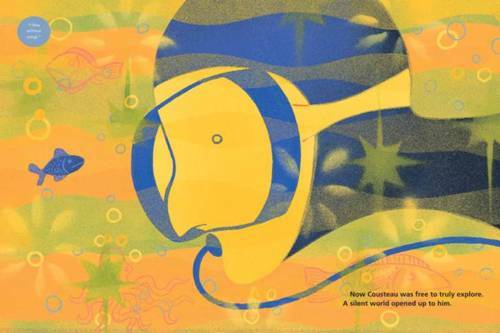 After reading The Fantastic Undersea Life of Jacques Cousteau I've been inspired to track down some of Jacques Cousteau's documentaries for the girls to watch. I remember watching them as a kid (along with Alby Mangels' "documentaries"!) and I think that Ava especially, will enjoy their magic as much as I did. Hmm... I think a viewing of The Life Aquatic with Steve Zissou might be on the cards soon too!